Why Has There Been Controversy About Statins in Women? While statins have become a mainstay of cardiac risk reduction for more than two decades, there has been an ongoing controversy over just how beneficial statins are in women. Over the years, data from several clinical trials have have supported, but not proven, the effectiveness of statins in women who have coronary artery disease (CAD). The controversy took a major step toward resolution in 2015, however, when a meta-analysis of several clinical trials was published, concluding that statins in women appear to be as effective as in men. Why Are Statins So Important? The statin drugs are considered very important in cardiovascular medicine because they are the only cholesterol-lowering drugs that have been convincingly shown to substantially and reliably reduce the risk of heart attacks, strokes, and death in high-risk patients. Read about assessing your level of cardiovascular risk. In fact, it now seems clear that statins do far more than merely lower your cholesterol levels — they have an anti-inflammatory effect; they help to prevent abnormal blood clotting; they help to stabilize the arterial plaques whose rupture so often leads to heart attacks and strokes; and they have other beneficial effects as well. The unique benefits of statin drugs in preventing cardiovascular problems, documented in several important clinical trials, makes most doctors very enthusiastic about using these drugs in their patients whose cardiovascular risk is elevated. The controversy has existed because the evidence that statins are as effective in improving cardiovascular outcomes has been less definitive in women than in men. For years, large randomized clinical trials enrolling both men and women with prior myocardial infarctions (heart attacks) or acute coronary syndrome, that is, in people who already have significant coronary artery disease (CAD), have shown statins to be effective in reducing subsequent cardiac events, including heart attacks and death. In people who don’t yet have CAD, but in whom the risk of CAD is high, randomized trials have also shown improved cardiovascular outcomes with statins, though to a lesser degree. In most of the early clinical trials establishing the benefits of statins, the number of men enrolled substantially outnumbered the number of women. So when results of these trials were analyzed only among the enrolled women, the benefits of statins have generally failed to reach statistical significance. That is, the benefits of statins in women was unproven. What Is the Explanation for This Lack of Proof? This is where the controversy has been. There have been two possible explanations. The first, of course, is that perhaps statins just do not work as well in women as in men. Most experts have doubted that this is the case. The second explanation is simply that not enough women have been enrolled in existing clinical trials to statistically prove the effectiveness of statins. Indeed, in most of these trials, the magnitude of benefit seen with statins appears to be just the same in women as in men, but not enough women were enrolled to reach statistical significance at that level of benefit. In early 2015, a large meta-analysis was published in the Lancet reporting that, when the level of cardiovascular risk is taken into account, statins appear to be just as effective in women than in men. This study, conducted by the Cholesterol Treatment Trialists’ (CTT) Collaboration, analyzed 27 randomized clinical trials with statins, which altogether had enrolled over 46,000 women. The analysis with this large number of women concluded that statins were as effective in women as in men in reducing the subsequent risk of major cardiovascular events. (These major cardiovascular events included heart attacks, strokes, the need for stents or bypass surgery, and cardiac death.) The beneficial effect of statins was equal for men and women at all levels of cardiovascular risk. Read about current guidelines for using statin drugs. Statins should not be used in women who are pregnant. This means that doctors should be reluctant to prescribe statins in women who are likely to become pregnant. 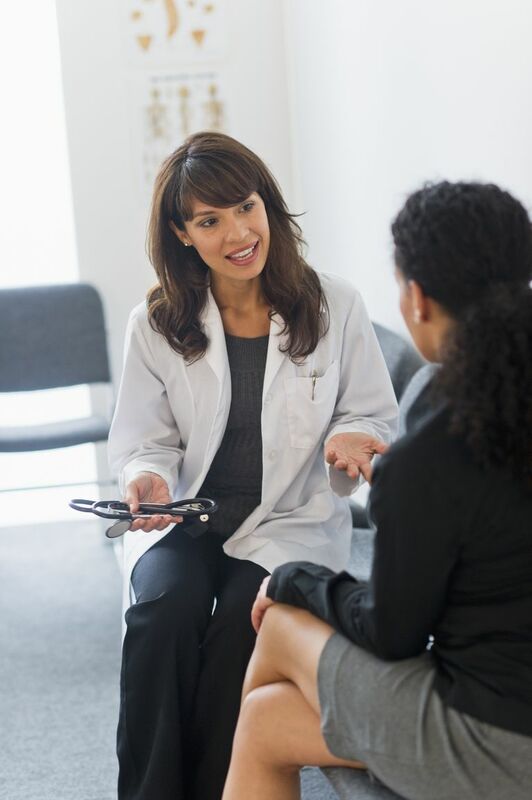 In recent years, there has been a lot of interest in the use of statins in women with polycystic ovary syndrome (PCOS). Several studies have demonstrated that statins not only improve LDL cholesterol levels in these women, but also reduce testosterone levels and other abnormal hormone levels. However, more research is needed to show whether these improved chemical measurements can translate into actual clinical improvement. Most experts now agree that the best evidence available indicates that statins are as useful in women as they are in men, and further, that a patient’s gender should not be a factor in deciding whether or not to use statins. Deciding on statin therapy should be based on the level of your cardiovascular risk, and on careful consideration by you and your doctor as to the potential benefits of statins vs. the potential risks. While these decisions always need to be individualized, the best evidence available suggests that gender need not play a particular role in the decision making process. Cholesterol Treatment Trialists’ (CTT) Collaboration. Efficacy and Safety of LDL-lowering Therapy Among Men and Women: Meta-analysis of Individual Data from 174,000 Participants in 27 Randomised Trials. Lancet 2015; DOI:10.1016/S0140–6736(14)61368–4. Davignon, J. Beneficial Cardiovascular Pleiotropic Effects of Statins. Circulation 2004; 109:III39. Seyam E1, Hefzy E2. Long-Term Effects Of Combined Simvastatin And Metformin Treatment On The Clinical Abnormalities And Ovulation Dysfunction In Single Young Women With Polycystic Ovary Syndrome. Gynecol Endocrinol. 2018 Jul 25:1-8. doi: 10.1080/09513590.2018.1490405.